When one thinks of summer, it's almost always associated with a vacation. Unfortunately, a vacation is a luxury not everyone can enjoy. For those who are tied down to their desks, swamped with meetings and deadlines to meet, ZEN Health understands how summer can be an escape that hardly has room to happen. But don't lose hope! Think color, passion, and life! If you find it hard to chase the sun outside, bring it indoors. There's something about summer that is perfect for all you busy bees--flowers. Fresh fragrant blooms are great additions to your office desk because they add life and color to an otherwise dull and stressful professional work space. 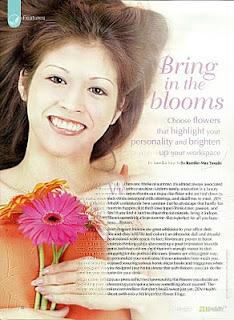 In fact, flowers are proven to boost creative thinking while also creating great impression towards peers and even clients. As if that isn't enough reason to start shopping for the perfect little vase, flowers are also a great way to personalize your work area. If you remember how much you enjoyed scouring various home decor books and magazines when you designed your home, know that with flowers, you can do the same for your desk. Don't you think this is such a pretty piece of art? Found through Google. 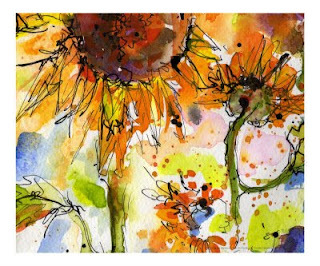 Sunflowers are strong radiant flowers most famous for growing towards the sun, hence the name. 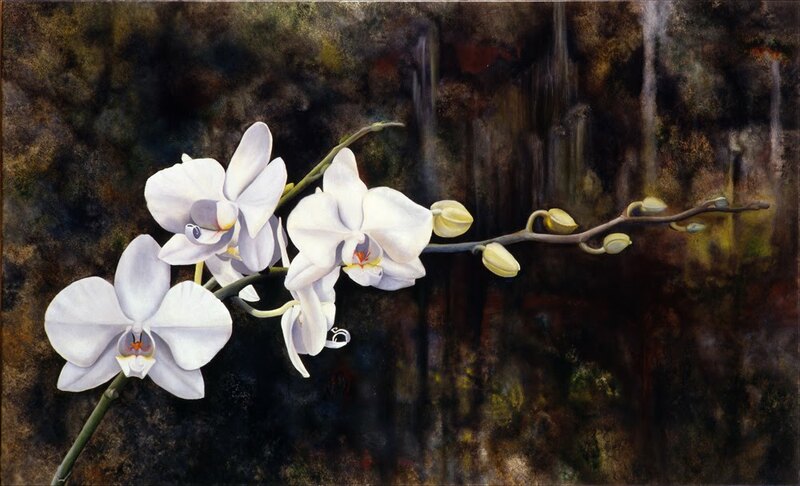 These flowers perfectly symbolize people who exude dominance and creativity. If you are the type of person who has the talent to command the attention of a room, sunflowers should be your desk friend. These bright blooms are the perfect decoration for natural leaders whose outgoing personality can't be confined in a box. If you want to exude warmth and openness, sunflowers would best blend with your loving heart! So shabby chic. All flower paintings to used on this post were found through Google. 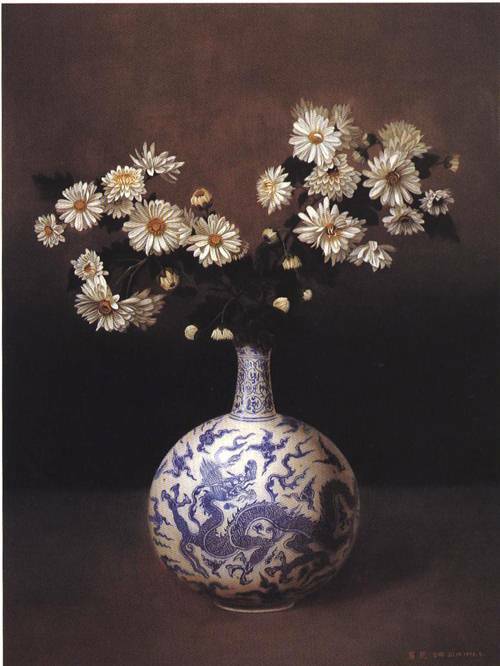 People who are embraced by a cloud of mystery are best symbolized by chrysanthemums. Chrysanthemums come in varied bright colors too but despite their loud color, chrysanthemums are flowers for the mysterious because of the many layers which when uncovered one by one just don't stop surprising the most guarded of people. Ironically, chrysanthemums are perfect for people who value honesty and clarity. Among many, chrysanthemums also symbolize love and fidelity. 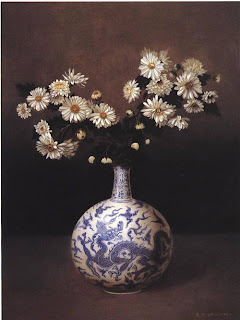 People who are focused and organized are also perfectly symbolized by chrysanthemums. Roses convey the widest range of emotions, although it is most popularly used as an expression of love and companionship. 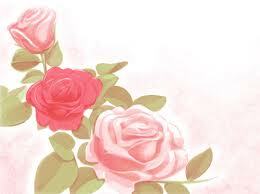 Roses are perfect for people who are romantic and sensual. Roses, as they are considered as one of the most royal and spectacular of all flowers, are perfect for people who enjoy the classics and prefer sophistication over ingenuity. Likewise, roses are also great for people who love beauty. The aesthetic qualities of a rose, its delicate yet bold exterior and its sweet mild fragrance, perfectly symbolize a woman of the pedestal. It is quite amusing how Lily, as a name, has a very gentle and youthful appeal, when on the contrary, lilies symbolize people with a headstrong personality. Lilies are majestic. Not only do lilies come with a strong soothing fragrance; lilies are also amongst the most dramatically stylized flowers designed by nature. 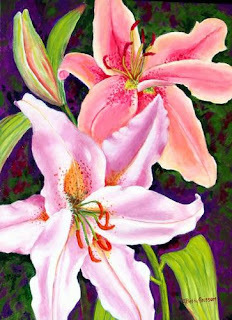 There are even exotic families of lilies that come in more varied designs such as those that come wit thorns and some with spotted petals. 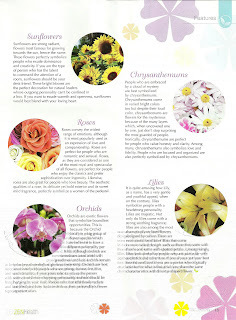 Unsurprisingly, lilies best symbolize people who are particular with aesthetics and adventure. If you always put your best foot forward, and if you are a person who is greatly attached to what is beautiful, you share the same characteristics with this star-shaped flower. I love this artwork so much! It's so Japanese!